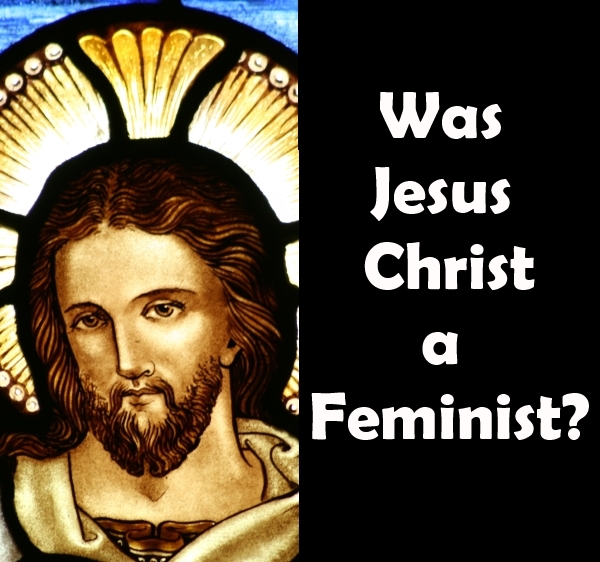 If you look online you will find multiple blogs and articles touting that Jesus was a feminist. In fact there are even books teaching that Jesus was a feminist. As Christians, the basis for our beliefs should never be our feelings or our culture but what the written Word of God says. So here we will examine the supposed “Biblical proofs” that show Jesus was a feminist. First let me say where I agree with Vicky Beeching and many other Christian Feminists and Egalitarians. Women were often times mistreated or dishonored, both before, during and after the time of Christ. However, I will not concede that all men dishonored their wives or other women, but there were many that did. I would also agree that that Paul’s call to men in Ephesians 5 to love their wives as their own bodies, and Peter’s call for men to “honor” their wives as “the weaker vessel” were revolutionary for their time. Having said all that, there is a huge difference between telling men to love and honor their wives (and their mothers (Ephesians 6:2) and telling men that they had to make women equal in political, economic and social circles. Agreed – Christ gave women equal respect and treated them with dignity, but I don’t see Christ telling his disciples that women had to be given equal social, economic or political rights anywhere in the Scriptures. Agreed – it was a shock for him to talking to a woman, and a non-Jew, and woman of disrepute as she was. He was treating a non-Jew and woman with equal respect and dignity, no question there. However I still don’t see him telling his disciples that she should have equal social, economic and political rights to men. 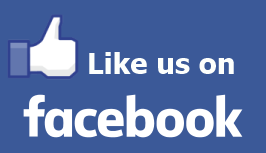 Again – Yes Jesus was a friend to sinners, and the down trodden of society. However we don’t see Jesus advocating for equal social, economic or political rights, but only respect as a human being. Jesus not allowing the woman caught in adultery to be punished for her adultery was an act of mercy, not a statement that women should be given equal social, economic or political rights to a man. Yes Jesus allowed a woman (Mary Magdalene) to see his resurrected body first. But there is absolutely no evidence, no statement by him, saying that by this act he meant for women to have equal political, social or economic rights to men. Again the fact that Jesus allowed women to follow him may have been revolutionary for the time, but there is absolutely no evidence that he stated to anyone that this was a symbol of his support for equal political, social and economic rights for women. Here Vicky has been forced to make a big concession. If Jesus was in fact in favor of full equality for women, and he wanted to make this clear to all, then why would not even one of his twelve disciples be a woman? This a huge problem for Christian Feminists and they know this so has to address this problem. Vicky talks about it having to do with “the culture of that era” –really? So Jesus would be a revolutionary but only to a certain point? He would allow women to follow him, which was not common, but would stop at making them one of his twelve? Then Vicky talks about “lack of education available to women” – is she not aware that some of Christ’s twelve disciples were fishermen and not very educated? Christ came to his own, the Jewish people. After his resurrection he sent his Apostles to the gentiles (non-Jews), and Paul was given this main task to go to the gentiles (although some of the other Apostles did as well). That is why his twelve disciples were all Jews. Then Vicky makes another ridiculous statement about the disciples all having “brown hair” – how does she know that? Maybe some of them had black hair? I believe I have clearly shown that Vicky’s logic is the “logic that is flawed here”. She has not been able to answer why all of Christ’s twelve disciples were men if he was such a big feminist as she claims he was. I would agree with her that it is not necessarily a doctrinal statement that Jesus had no female disciples, except that Vicky has built practically her entire case that Jesus was a feminist based on his behavior toward women. Not having a female disciple is a huge blow to a position that is built completely on example, and not on express commands. The Word of God is crystal clear that not only is patriarchy God’s command for marriage, but in marriage it is a picture of Christ and the Church. The husband is to model Christ’s role in loving, leading, protecting and providing for his Church. The wife is to play the role of the church, submitting to her husband’s leadership in “every thing” as the Church is to submit to Christ in “every thing”. The woman places her dependence on her husband for his leadership, protection and provision, as the Church places its dependence on Christ for its leadership, protection and provision. Vicky is alluding to Luke 10:38-42 where Mary “sat at Jesus’s feet, and heard his word” (vs 39). The optimal word is -”heard”. Mary was hearing Christ’s word, while Martha was worried about serving and doing house work, which could have waited. She should have come and heard Christ’s word as well. But there is ZERO evidence that Mary taught anything, or engaged “in theological study” or even asked any questions. Even if she had asked a question, this is not the same as teaching. So once again – Vicky has proven nothing here about women being able to teach men from this incident. In the end Vicky has not proven either by Christ’s words or example that he was a Feminist supporting equal political, economic and social rights for women with men. Yes Christ honored women, and he treated them better than many men of their age did. But Christ never said anything against Patriarchy – in fact he commanded it! When Paul said in Corinthians 11:3 that “the head of the woman is the man”, he was speaking the very Words of Jesus Christ, as he was inspired by God to do. When Paul said in Ephesians 5:23 that “the husband is the head of the wife, even as Christ is the head of the church” – he was speaking the very Words of Christ, as he was inspired by God to do. When Peter said “ye wives, be in subjection to your own husbands”, he was speaking the very Words of Jesus Christ, as he was inspired to do. Because Christian Feminists and Egalitarians are loyal first their ideology of total equality for men and women in every area of life, they must sacrifice a belief in the inerrany of the Scriptures. I have shown here, or in articles that have I have linked to, that Christian Feminism is in fact – an OXYMORON. In order to embrace Christian Feminism, you have to ignore the very clear commands of God’s Word as well as the divine inspiration of the Scriptures. ← Is God more like man, more like woman, or a combination of the two?